When people get injured, their normal routines suddenly halt, and daily life becomes about managing symptoms and dealing with insurance. Plus, navigating the legal system can be stressful and time-consuming when you don’t have a law degree. Jeffrey is able to alleviate his clients’ stress and worry by providing a much-needed calmness during this turbulent time. With his meticulous attention to detail, and unyielding dedication to his clients, you’ll know your case is in good hands. Jeffrey earned his B.A. in Economics in Atlanta, Georgia, but moved to Oregon soon after to pursue his law degree at the Northwestern School of Law of Lewis and Clark College. He stayed in the Portland area to work as Deputy District Attorney in Multnomah County in 1989, and later as Special Assistant United States Attorney in the District of Oregon. 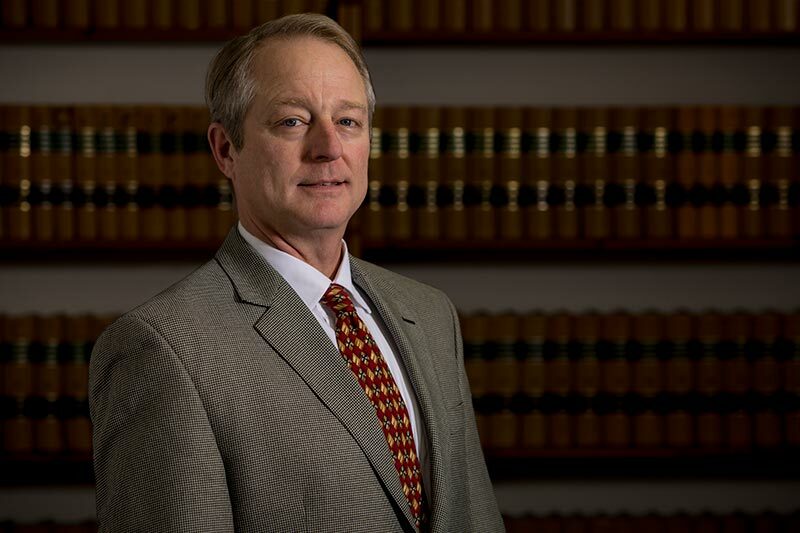 He has been a partner at Ransom, Gilbertson, Martin & Ratliff, LLP since 2004. Honest and conscientious, Jeffrey has always been straightforward and focused in both life and work. He is caring and attentive to his clients in the same way. When you tell him your story, he listens intently, never rushing you or skipping over important details. His colleagues have even called him the “nuts and bolts” of the firm because he is so well-organized — even when chaos arises. No little things get past him. Jeffrey lives on a farm and loves spending time with his family and Dalmatians. He has been known to collect and repair old tractors, and he even brews his own beer, but he’s no novice — he approaches brewing with the same scientific precision as his cases.